If you need high-quality crane mats or excavator mats, you are at the right place! At Ko-Mats we deliver for you from stock in all common sizes and types of wood for purchase or rent, and, if you wish, we will bring it right up directly to your project! Our crane mats are used by various companies in numerous industries, such as in the oil and gas industry, heavy load companies, dredging companies, on- and offshore companies, crane operators, heavy load pedals and foundation construction companies, as well as and in wind energy. 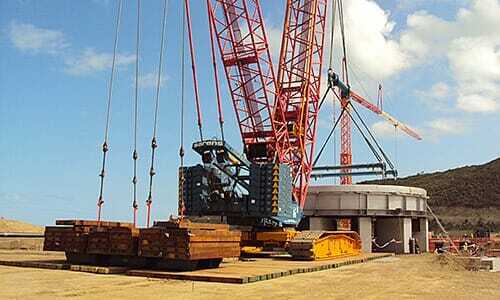 Why use our crane mats? All our mattresses are equipped with suspension devices on both sides. This makes the handling of the elements easy. The suspension devices are always computer controlled cut at the same point, that way several elements can be lifted simultaneously. The drill holes are symmetrical and the bolt heads are countersunk. The front sides are chamfered at the upper edge, which makes it easier to drive onto the mattress and extends the longevity. 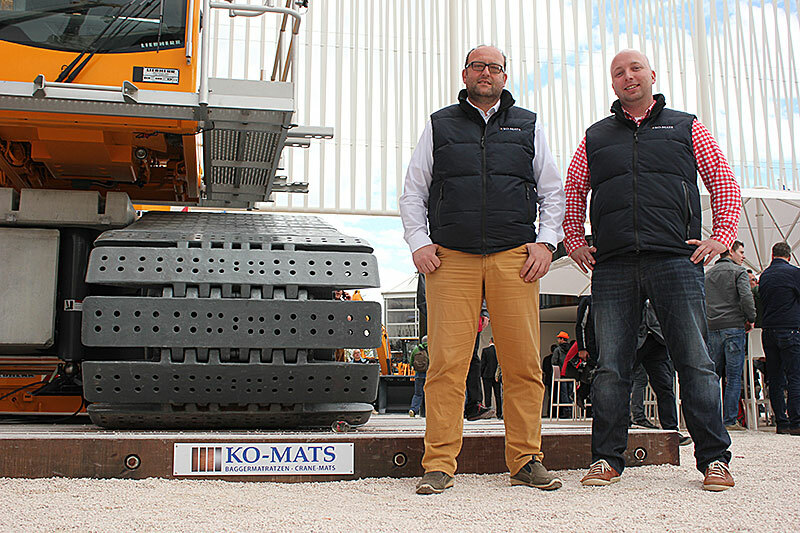 Thanks to our state-of-the-art production line, there are almost no differences in height in the crane mats. The wood is CNC cut to length. Thus, a 5m mattress is actually 5m and there are no differences in laying out the mats successively. If all of this is not enough, we offer free colour marking on the front sides according to your specifications. This way, you and everyone else will recognize your mattresses on every construction site. 100 mm Versatile for temporary roads or gas- and pipeline projects. Ideal for trucks and construction machines up to an axle load of approx. 25 tons. 150 mm Frequently used for temporary floor space for cranes and excavators with an average weight of up to 40 tons. Can also be used as underfloor protection for pontoons or concrete floors. 200 mm Suitable for intensive, frequent and heavy duty applications: heavy duty cranes, heavy duty construction equipment and crawler cranes with a weight of several hundred tons. 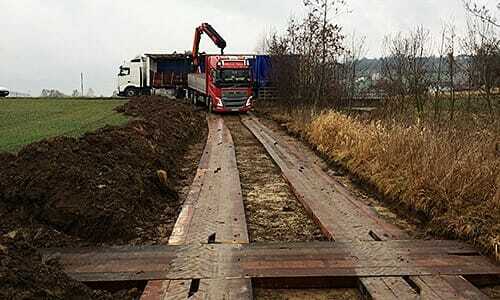 Our crane mats are made from tropical woods such as Ekki, Okan and Dabema and also from domestic beech wood. 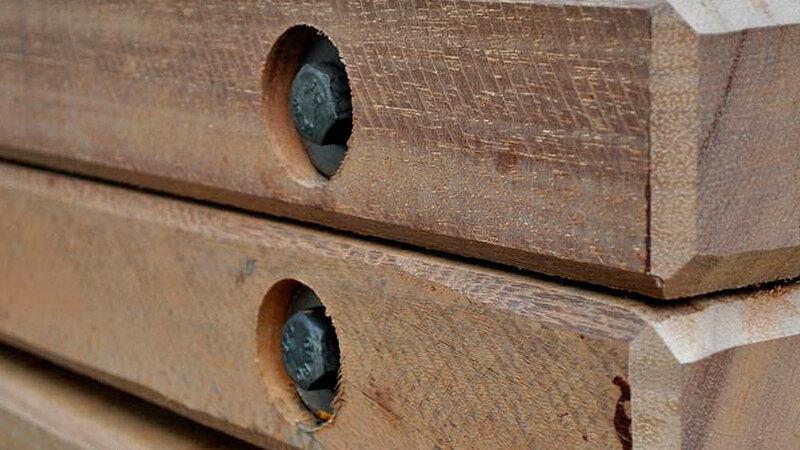 These types of wood are characterized by high abrasion resistance, high monnine hardness and longevity. See for yourself!